After a lengthy executive session that was extended several times, County Commissioners Shelly O'Quinn and Todd Mielke chose to extend an offer to Whitworth Vice President for Finance and Administration Gerry Gemmill to hire him as the county's new CEO. Commissioner Al French opposed the motion. "Many, many people in this community call Gerry a friend,” O’Quinn says. "He has relationships within the city of Spokane. Anyone who knows Gerry knows that Gerry is a peacemaker." Beyond his experience at Whitworth, Gemmill had been the director of local government and labor policy for the City of Spokane and had been the director of operations, administrative manager, and human resources manager for Spokane County. O'Quinn, who earlier in the meeting noted she disagreed with the Spokesman-Review's characterization of the board as "feuding," said that was a particularly important aspect. Gemmill, Mielke says, was with the county for 33 years, particularly in the Public Works department and with labor relationships. "He was being trained to be [outgoing CEO Marshall Farnell's] successor," Mielke says. Gemmill was the chief operations director. French, however, still had objections over the process. "I’m not supporting the motion, not because of any lack of faith or confidence in Mr. Gemmill," French said. "For all of those in the community who were hoping for a national search... hoping for an opportunity to reach out and bring a different perspective to county government, that's not going to happen." French apologized to those who had supported his efforts for a national search. He similarly chose not to support an earlier proposal to appoint Mielke as the CEO. O'Quinn thanked French for supporting Gemmill and for their respectful disagreement. "I believe all of us are committed to the success of our new CEO," O'Quinn said. Update: Here's the full press release from the county, featuring supportive quotes from Sheriff Ozzie Knezovich, County Assessor Vickie Horton, County Auditor Vicki Dalton, and State Rep. Kevin Parker. SPOKANE COUNTY, October 27, 2015 – Spokane County Commissioners voted today to offer the job of County CEO to a former county manager who was in line to replace outgoing CEO Marshall Farnell. Gerry Gemmill, currently the Vice President of Finance and Administration at Whitworth University, was offered the position on a 2-1 vote of the county commissioners. Gemmill worked for Spokane County for 33 years before retiring in 2008. When he departed, he was the Chief Operations Director, a position with the duties of a deputy CEO. He was being trained to be the next county CEO and was touted as the heir apparent in succession plans. Gemmill was recruited from the County by the City of Spokane in 2008, where he worked until 2013, and served in a number of senior management positions. Gemmill first started at the county in 1975, as a heavy equipment operator. During his career at the county, he put himself through college earning both his bachelor’s and master’s degrees. He also worked his way up through several management positions until reaching the second most senior position. While working at the city, Gemmill served as both the Deputy Director and Interim Director of the Public Works and Utilities Department, and as the Director of Local Government Relations and Labor Policy. In addition to his professional positions, Gemmill has been an adjunct professor and adjunct faculty at both Eastern Washington University and Whitworth University. He is a member of the Salvation Army Advisory Board, has been an Honorary Commander at Fairchild Air Force Base, and has served on numerous other community boards and committees. Today’s vote to offer the position to Gemmill at the salary currently paid to Farnell was supported by Commissioners Mielke and O’Quinn. Commissioner Al French dissented, but pledged his support for the new CEO. “While those who wanted a national search are disappointed, I will do all that I can to help Mr. Gemmill be a successful CEO,” French said. Final execution of the offer will depend on the successful negotiation of remaining elements of an employment contract, including Mr. Gemmill’s start date. · Spokane County Employee from 1975 through 2008 (retired after 33 years). Started with the county as a heavy equipment operator and worked his way up through multiple positions including Asphalt Supervisor, Training Supervisor, Human Resources Manager (Engineering Dept. ), Administrative Manager (Public Works Dept. ), and interim Labor Relations Manager. He spent the last four years at the county as the Chief Operations Director (COD), the 2ndhighest staff position working directly under the County CEO. · Prior to being recruited by the City of Spokane in 2008, Gerry served as the 2nd highest staff position in the county under the County CEO. He was being trained to replace Marshall Farnell as the County CEO as part of a succession plan. 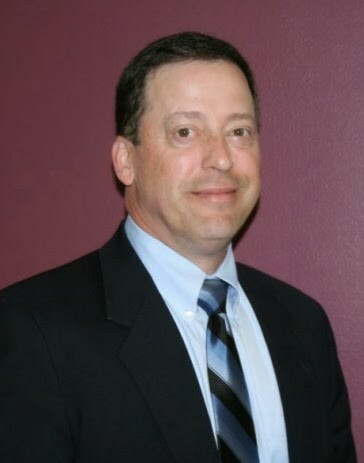 · After leaving Spokane County, Gemmill worked for the City of Spokane from 2008 through 2013. He served as both the Deputy Director and Interim Director of Public Works and Utilities, and the Director of Local Government Relations and Labor Policy. · Gemmill is currently the Vice President of Finance and Administration for Whitworth University. · Gemmill has served in the positions of adjunct professor and adjunct faculty at both Eastern Washington University and Whitworth University. He is a member of Salvation Army Advisory Board, had been an Honorary Commander at Fairchild Air Force Base, and has served on numerous other community boards and committees.